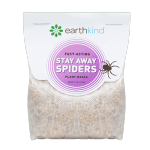 Home / Blog / Get Rid of Spiders from the House. Sneaky Tips That Keep Spiders Out. Get Rid of Spiders from the House. Sneaky Tips That Keep Spiders Out. Summer is spider season, so there’s no better time to get rid of spiders. We’re hoping spiders haven’t taken a bite out of your summertime fun. 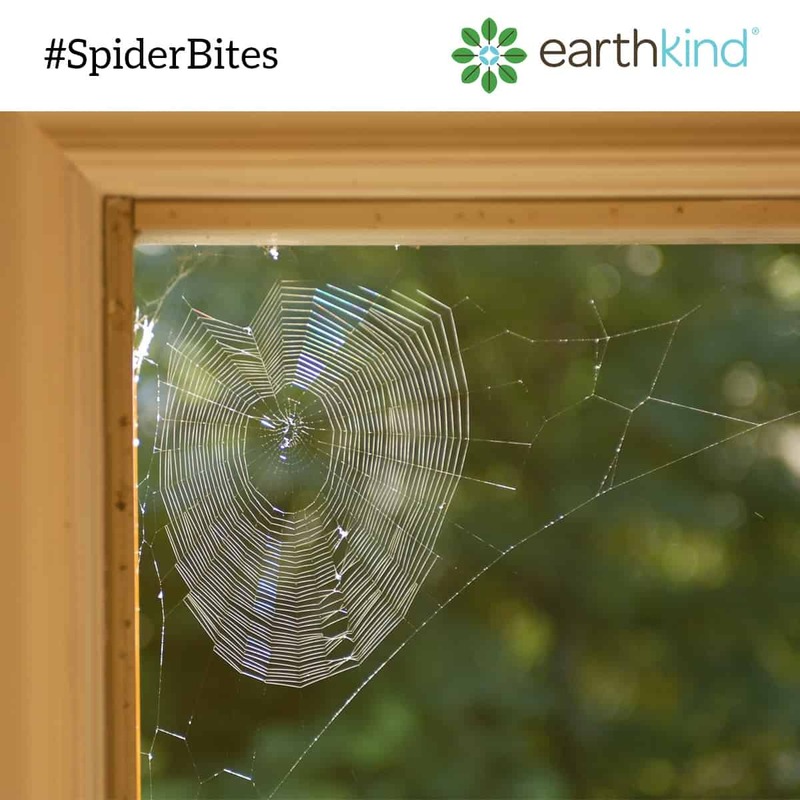 Try these natural solutions that will help you keep spiders from making their way into your home. Here’s to a summer filled with sunshine, backyard barbecues and a spider-free home! 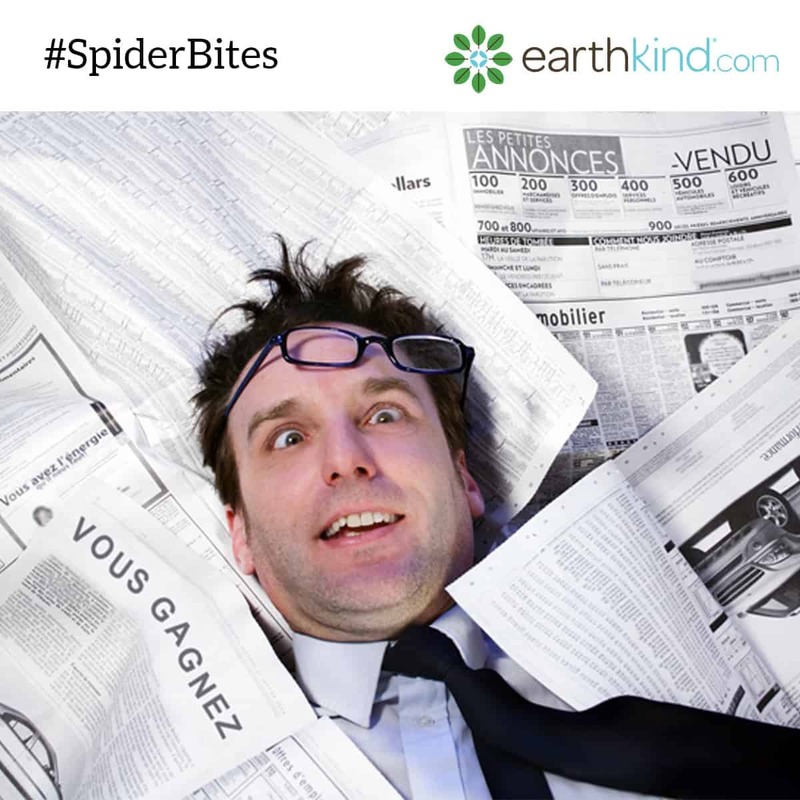 Spiders don’t have good eyesight, so they rely on vibrations they feel in their web, to detect an insect that could be their next meal. 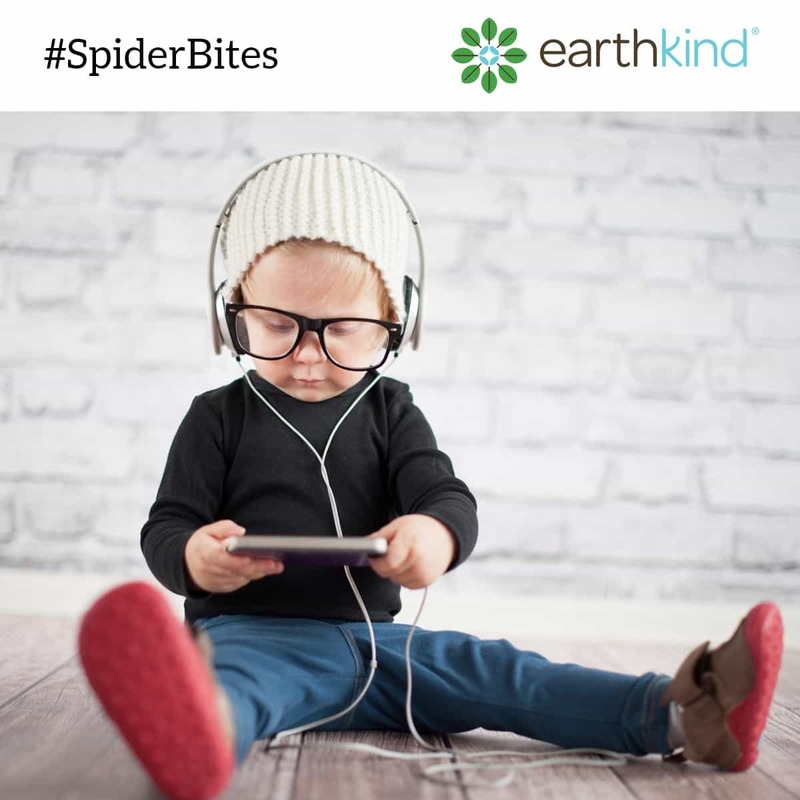 Turn music on in an area where you’ve spotted spiders and the vibrations will interfere with their ability to pick the perfect time to feast. They’ll quickly leave in search of a quieter spot. From a spider’s perspective, an insect is like a gourmet meal. 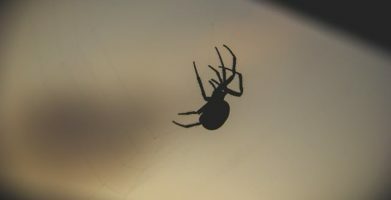 Keep bugs out by cleaning regularly and spiders will be looking for a more well stocked home. Spiders would prefer to be left alone. That’s why they hang out in dark places. 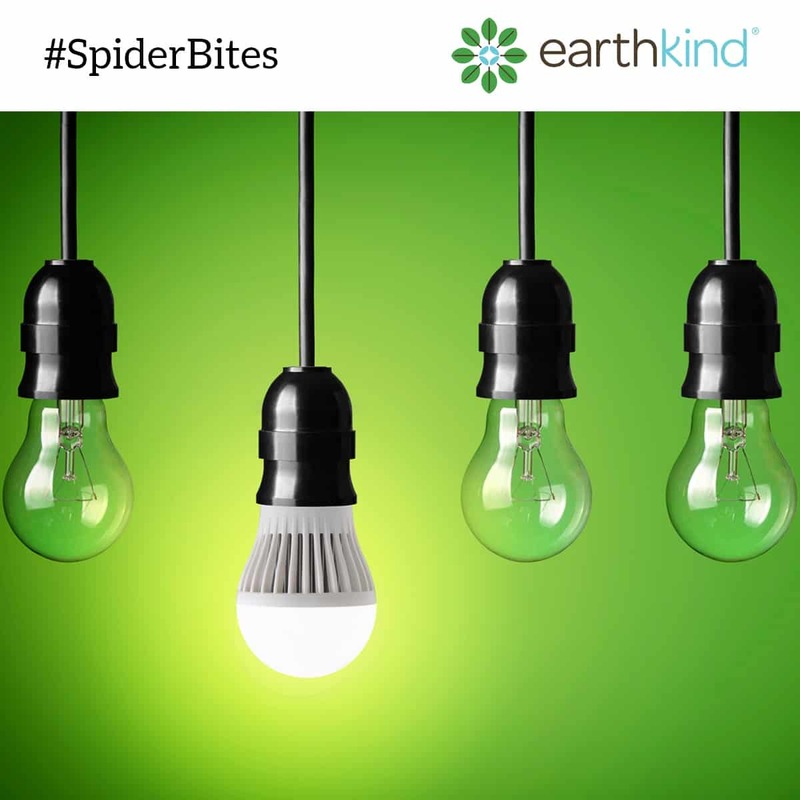 Notice an area of your home where spiders are weaving their webs? Leave the lights on and they’ll be looking for a new hideaway. 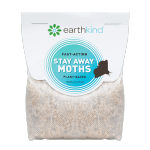 Everyone has a favorite food and that includes insects. When a wasp sees a spider, it knows it’s in for a tasty treat. To reduce your chances of finding a wasp nest nearby, you’ll want to keep window wells clean and in the fall, be sure to clear leaf litter. Removing a spider’s habitat sends a clear message to wasps that they should find a new dining hall to frequent. Save the spiders! Just not their webs. Spiders put a lot of effort into weaving their silky webs, so they don’t like it when you disturb them. They also don’t like the high pitched vibration of a vacuum. Use a vacuum hose to clear out spider webs and creepy crawlers will be on their way to a more peaceful home. To make your home less attractive to spiders, wash old webs off outside areas with a garden hose — particularly under roof eaves. 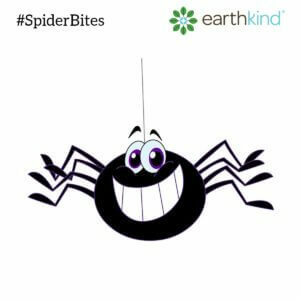 To prevent spiders from spinning new ones, use a spray made of half a cup of water, half a cup of vinegar, two tablespoons of liquid dish soap and twenty drops of thyme oil. The scented mixture prevents them from attaching their silk to sprayed surfaces. 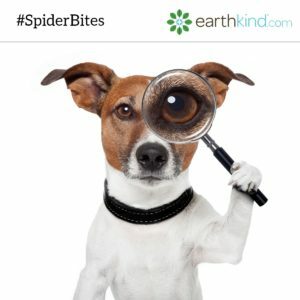 To avoid eight-legged uninvited guests, get out a magnifying glass and look for tiny cracks in your home. Seal any openings you find with caulk, screening or weather stripping. Spiders will be on their way to a more inviting household. 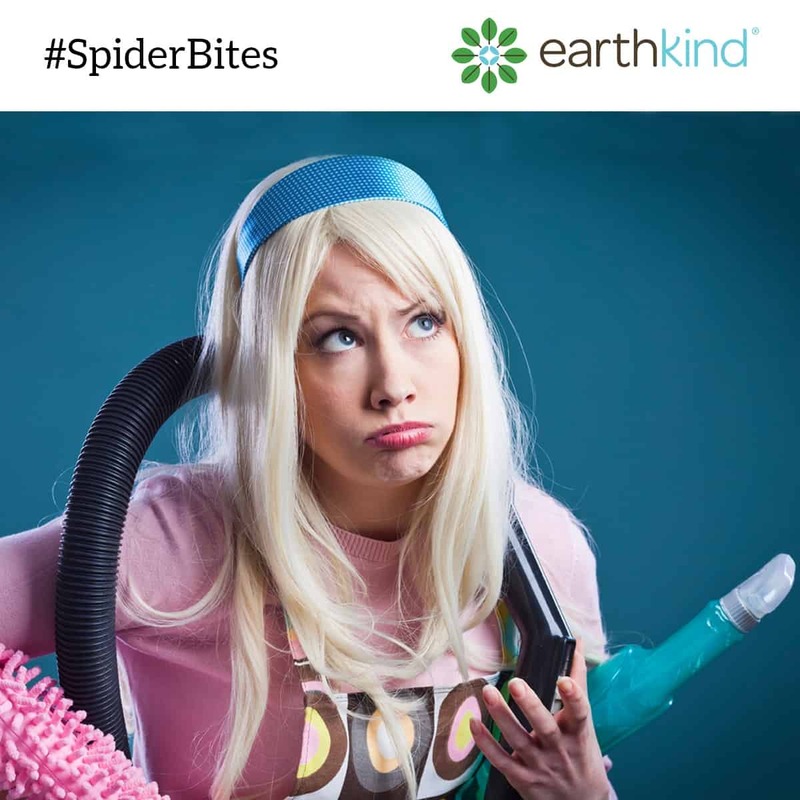 If you don’t want spiders in your home, then it’s time to clear the clutter. Creepy crawlers love to hide where you won’t see them. Do you really want to flip the page and find an uninvited guest? 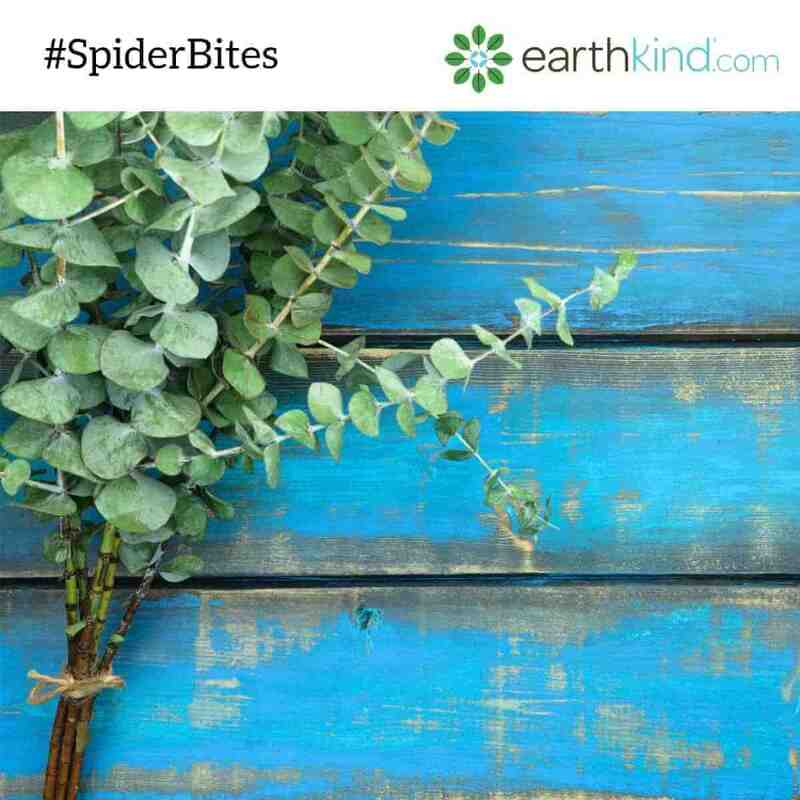 Apply a few drops of eucalyptus oil in corners, cracks and any areas where spiders like to hang out in your home. You can even put eucalyptus leaves in cupboards, drawers and under large pieces of furniture. The scent will send them off to a more welcoming home. We hope you’re following us on Facebook and Pinterest, because we’ll be posting tips like this all summer long. In addition to #SpiderBites, July and August will feature #AntBites and then as we prepare to wrap up summer, we’ll move to #MouseBites — with tips on how to prevent rodents from making their nests in your storage spaces. And don’t forget, our natural line of pest prevention products, Stay Away®, works inside and out. Place a pouch of Stay Away® in any room where you’ve spotted pests and they’ll be finding a new place to hang out. It’s great for picnics and backyard parties too! Summer is spider season, so there's no better time to get rid of spiders. 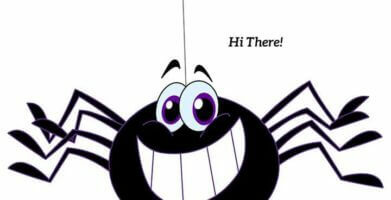 We’re hoping spiders haven’t taken a bite out of your summertime fun. 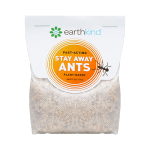 Everyone has a favorite food and that includes insects. When a wasp sees a spider, it knows it’s in for a tasty treat. To reduce your chances of finding a wasp nest nearby, you’ll want to keep window wells clean and in the fall, be sure to clear leaf litter. Removing a spider’s habitat sends a clear message to wasps that they should find a new dining hall to frequent. 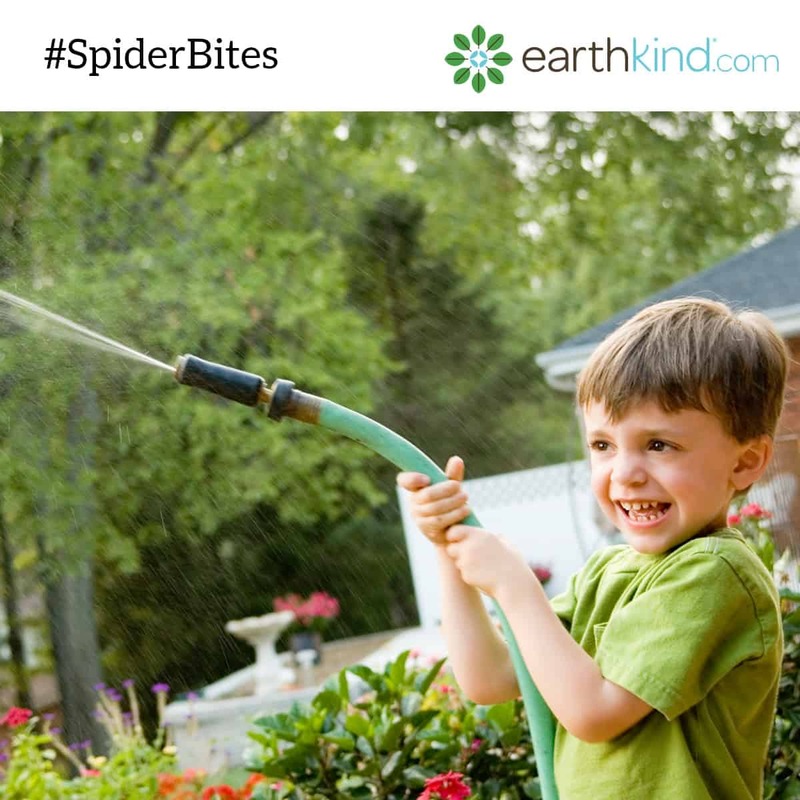 To make your home less attractive to spiders, wash old webs off outside areas with a garden hose -- particularly under roof eaves. 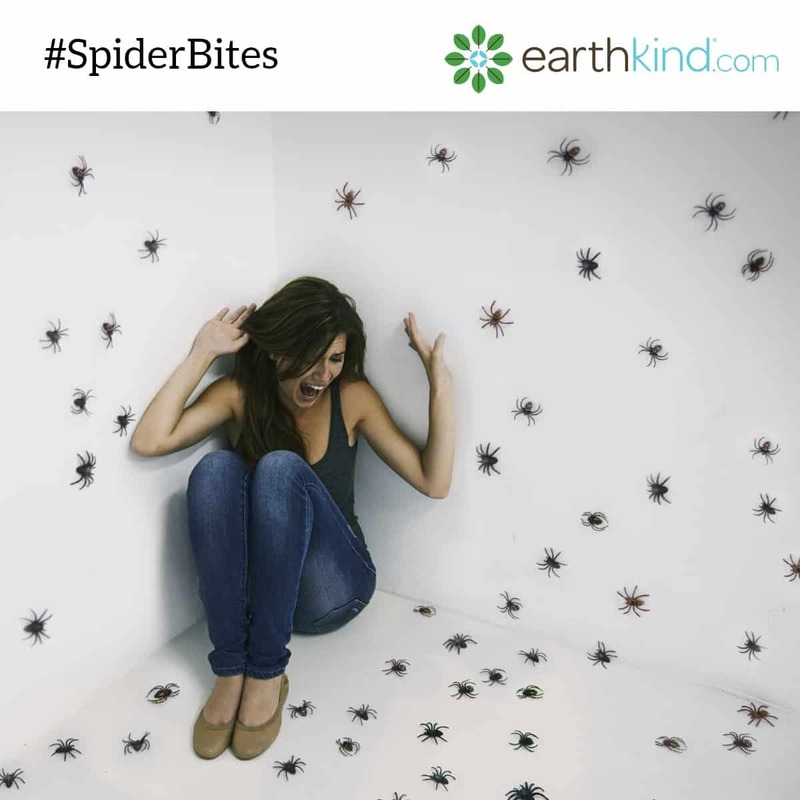 To prevent spiders from spinning new ones, use a spray made of half a cup of water, half a cup of vinegar, two tablespoons of liquid dish soap and twenty drops of thyme oil. The scented mixture prevents them from attaching their silk to sprayed surfaces. We hope you’re following us on Facebook and Pinterest, because we’ll be posting tips like this all summer long. In addition to #SpiderBites, July and August will feature #AntBites and then as we prepare to wrap up summer, we’ll move to #MouseBites -- with tips on how to prevent rodents from making their nests in your storage spaces. And don’t forget, our natural line of pest prevention products, Stay Away®, works inside and out. Place a pouch of Stay Away® in any room where you’ve spotted pests and they’ll be finding a new place to hang out. It’s great for picnics and backyard parties too! string(69) "Get Rid of Spiders from the House. Sneaky Tips That Keep Spiders Out."